Para Gliding Tour Packages Sikkim - Check Now! Paragliding is a fun and safe way to experience flight in its simplest form giving you a tantalizing experience. It is the recreational and competitive adventure sport of flying Para gliders Oho! 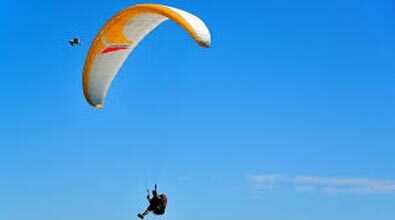 Adventure is proficient in offering paragliding tour packages in Sikkim. We are providing you the opportunity for paragliding at some of the best places of Sikkim with our well-crafted tour packages. All our paragliding tour packages come with the option to fly under the control of an expert. Paragliding with us is a truly amazing and fulfilling experience for the adventure seeker. This adventurous trip with us will take you over some of the best sceneries, monasteries, temples, and jungle, fantastic view of the majestic Himalayas. Browse through our Paragliding packages & get exciting deals for Sikkim Paragliding holiday packages.